When Elizabeth Erlandson’s husband wanted licorice—and not just any licorice, the kind his mother had been ordering for her sons from a Manhattan-based international seller for years—she did him one better, and bought the whole company. 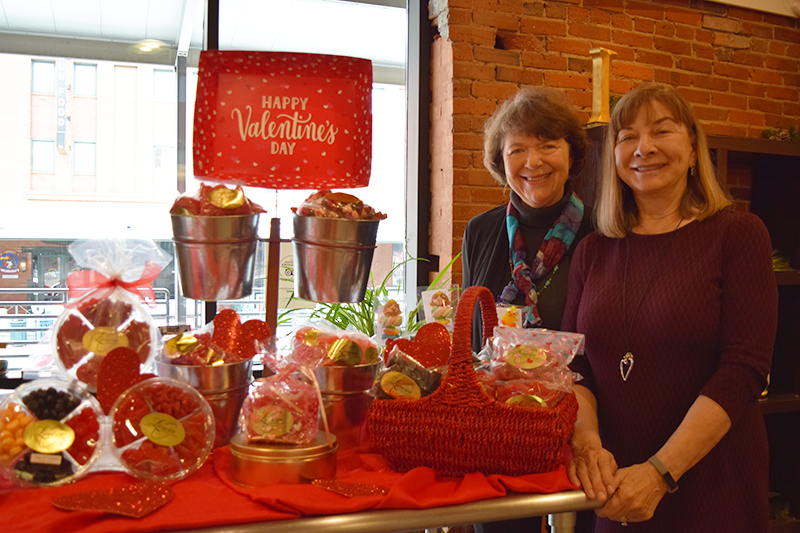 Joined by her best friend and trusted business partner, Ardith Stuertz, the two took over what would become Lincoln’s extremely successful international licorice and sweets shop in the Haymarket, Licorice International. The two said becoming business partners didn’t require a second thought. After buying the company in 2002, Erlandson’s basement became a shipping and packing center, and a spare bedroom in Stuertz’s home served as an office. Stuertz set up the internal structure and Erlandson handled marketing. Stuertz husband took photos while Erlandson’s husband happily tasted all the licorice and wrote descriptions of each product. Licorice International quickly outgrew its home office and moved to a small location at College View. In 2005, the business moved to its current shop on Q street in the Haymarket: a 4,450 square foot space where there’s a retail space in the front and a large packing and shipping area in the back. 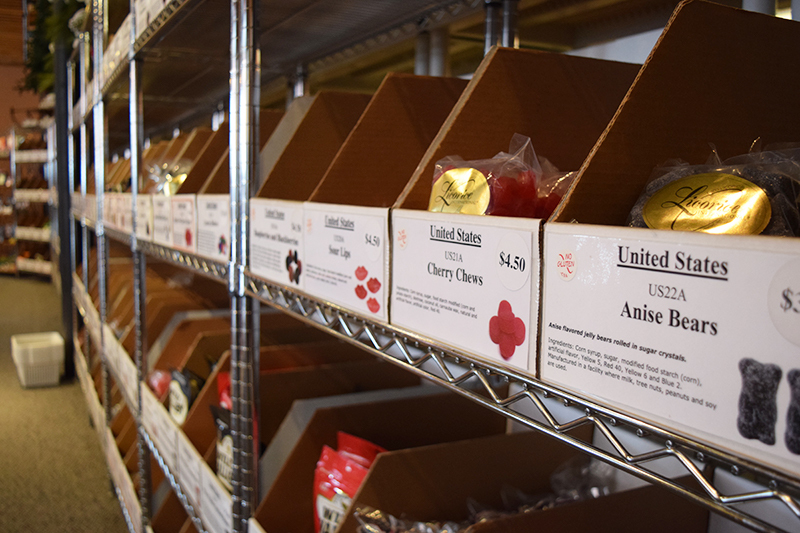 Today, the store sells almost 160 types of licorice from 12 countries both in-store and online, as well as gourmet chocolate and unique sweets you won’t find anywhere else. We’re not talking Red Vines and Twizzlers—you can sample salty licorice fish from Sweden, cream-filled Dutch “salmiak rocks”, or kosher, gluten free and sugar free licorice at the store. Licorice International even carries black licorice-scented soap and licorice-flavored lip balm for true lovers of the chewy confection. 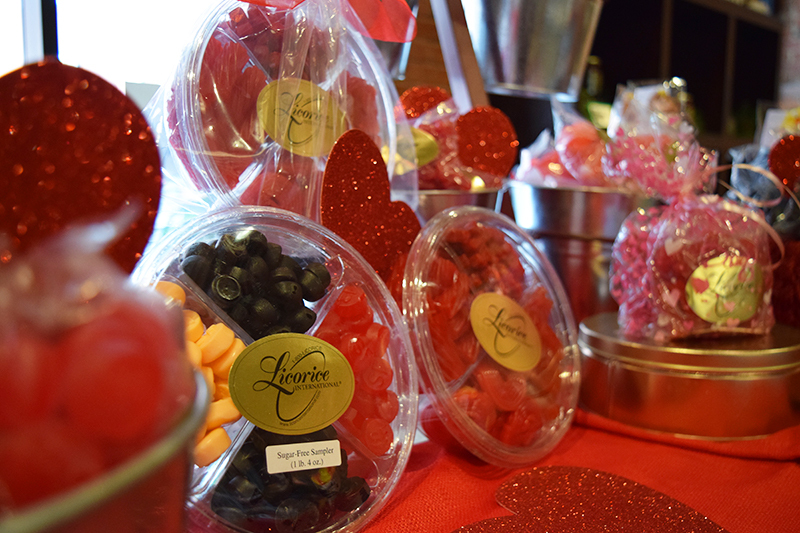 With Valentine’s Day approaching, Erlandson and Stuertz are hoping people will think “licorice” when it comes to purchasing sweet gifts for their loved ones. The store will be showcasing its best gift ideas and red and pink gourmet candy at a kiosk at Gateway Mall this week. After 17 years, Erlandson and Stuertz still love coming in to work everyday. Erlandson and Stuertz said there’s a key to making a business work. Nightingale tells the story of a man in Africa who owns a farm and hears that there are diamonds in Africa, so he sells his farm to set out to find them, impoverishing himself in his search. The man that he sells the farm to ends up finding diamonds all over the farm—he was sitting on the Kimberly Diamond Mine. Browse Licorice International's selection of sweets and order online at www.licoriceinternational.com.